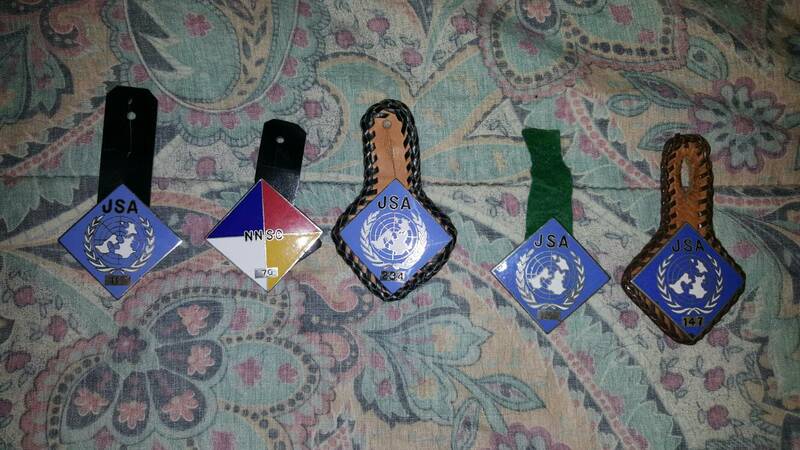 Recently bought these JSA and NNSC identification badges. Have not gotten to put them up. 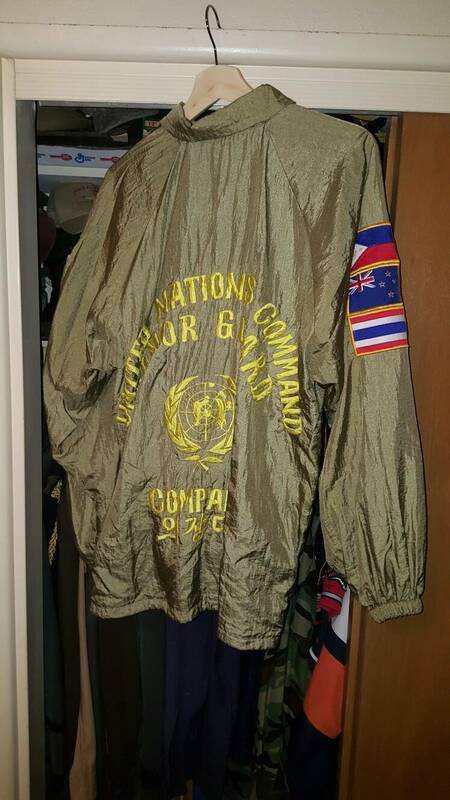 These are some more from friend's over the years. 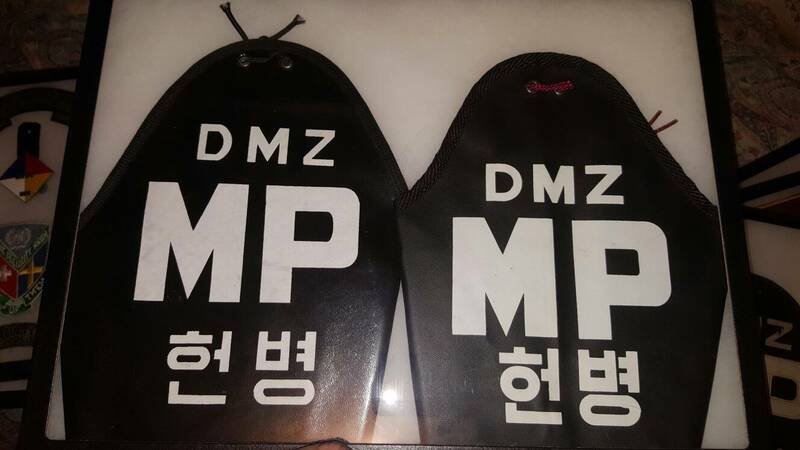 I have some more headgear worn along the DMZ that I have not photographed along with uniforms, BDU's, etc. This is just skimming the surface. 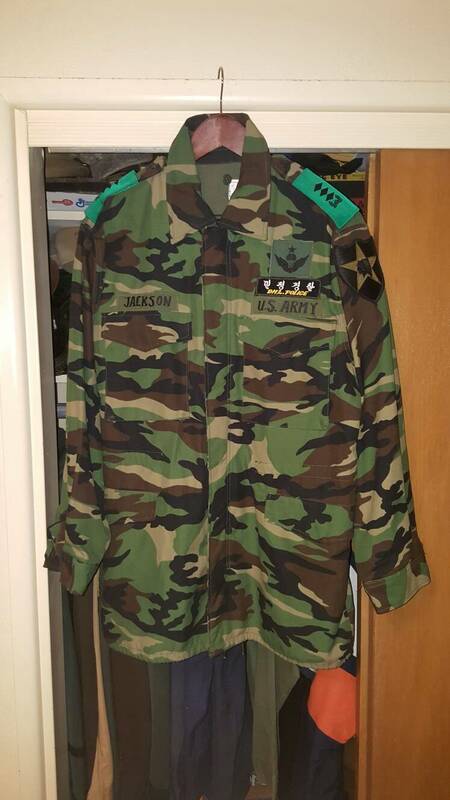 A "mini" fatigue shirt made for Lt. 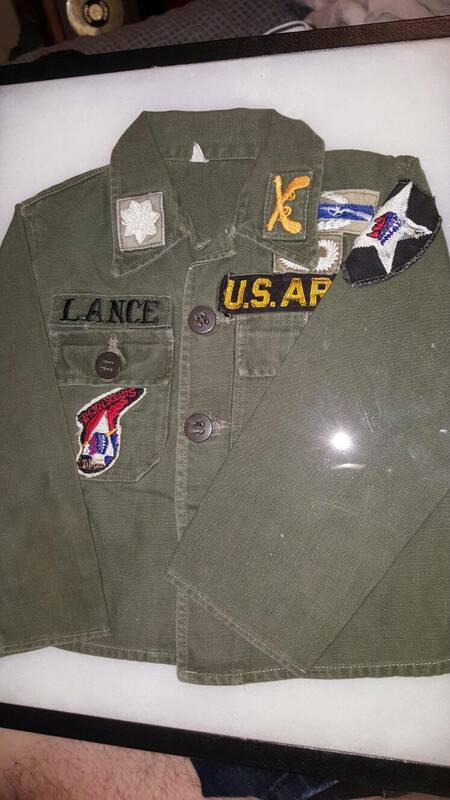 Colonel Lance's son. The Imjin Scout patch and 2nd ID SSI has been made in a "mini" size. Wonderful collection! 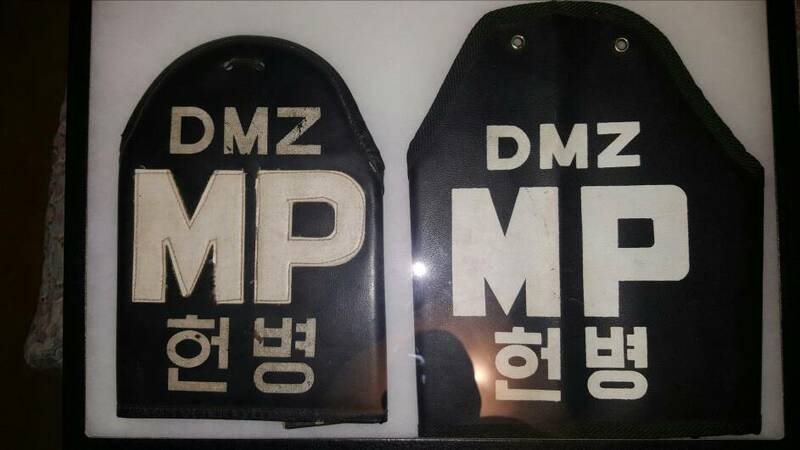 I have one of the Mine signs from the DMZ also! 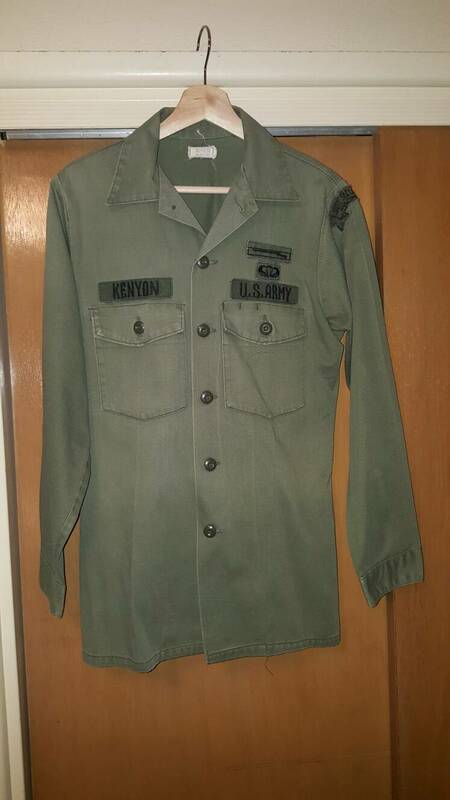 OPCON to Stryker Brigade in Iraq 2004, never wore the patch. Thanks to all who posted the interesting pics and information in this thread. 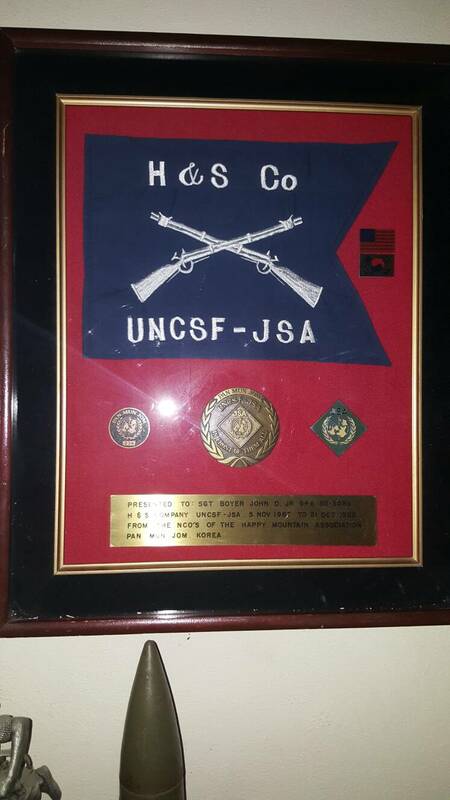 My grandfather served in the U.S. Navy during the Korean war on board the U.S. Frank Knox. 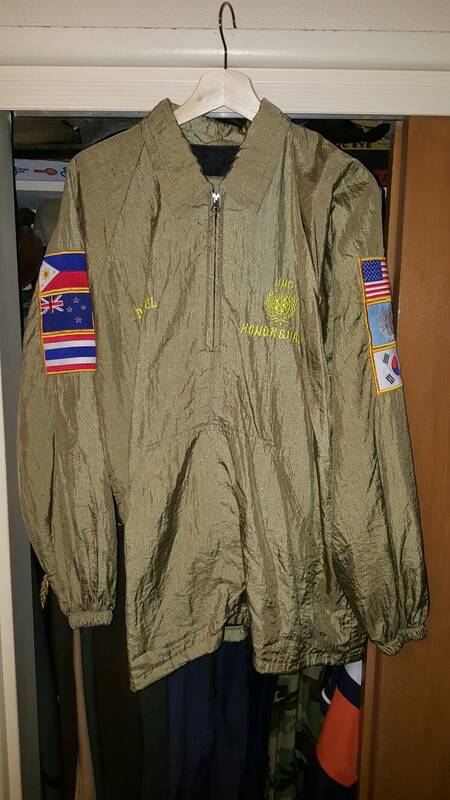 Many decades later I went to Korea as a member of the U.S. Army. While not stationed there, I had two opportunities to tour the DMZ area. It is certainly an interesting place, with ROK soldiers standing guard mount without moving for hours while facing NK soldiers on the other end. For those who have been there, it is interesting to see the phony propaganda freedom village on the NK side that is supposedly just a ghost town. 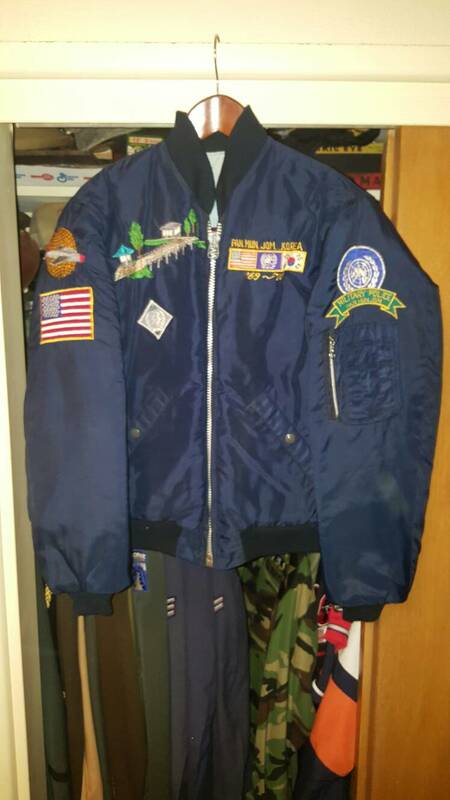 OG107 to a EM at the JSA, has ghost of HQUNC patch. UNC Honor Guard Company suit. Comes with embroidered pants also.